You may have thought it was never happening, but Mega Man is officially elevening! Capcom, has decided to bring the Blue Bomber back for another run in the main Mega Man series with Mega Man 11, despite letting Mega Man Legends 3 disappear into oblivion (leading to the creation of an alternate universe in which Keiji Inafune left the studio to create Mighty No. 9). 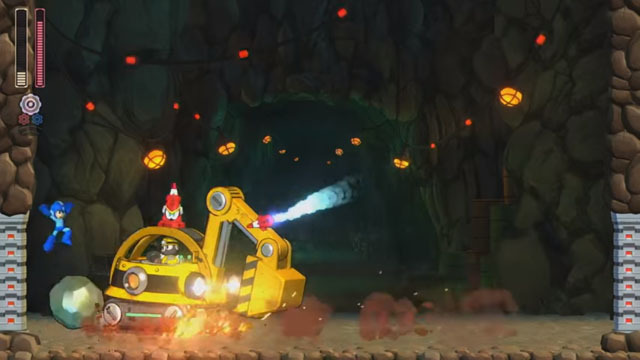 All of the series' latter-day trademarks are in place, with Mega Man's buster and charge shot, ground sliding, and even some assistance from his buddy Rush. And of course, no Mega Man game would be complete without a new set of Robot Masters and their accompanying abilities that Mega Man earns by defeating them. Instead of the retro 8-bit style seen in Mega Man 9-10, the new game features HD visuals, making it look more like a modern continuation of Mega Man 8 than the first six games. The game is now available for PC via Steam, Switch via eShop or physical release, PS4 via PSN, or physical release, and Xbox One via Microsoft Store or physical release. Demos are available for each of the console iterations.